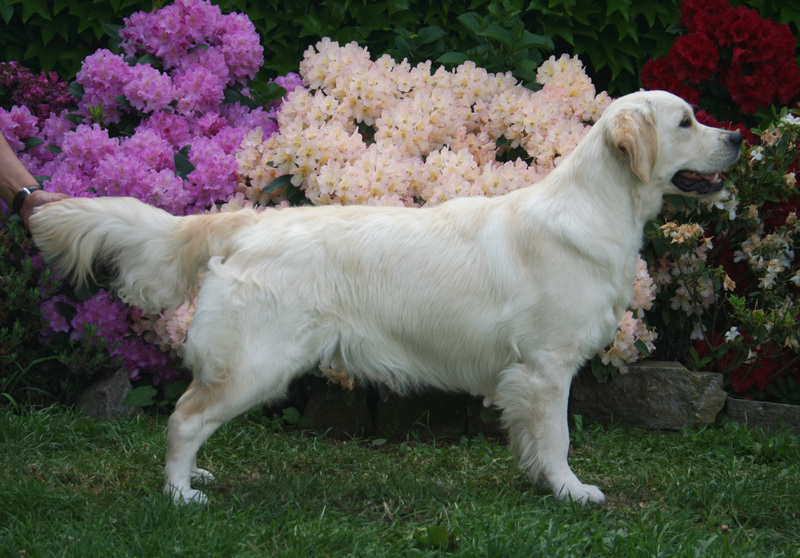 Princess Julia ( BjCH, BJW Stanroph Sea Sonnet) had puppies by lovely CH Fly to Fletcher du Bois de la Rayère. Fleur d'eau du Bois de la Rayère (Lucy HD - A/A, ED-0/0, eyes clear) is mated to Alibren True Glory (Dawson HD - A2, ED-0/0, eyes clear). 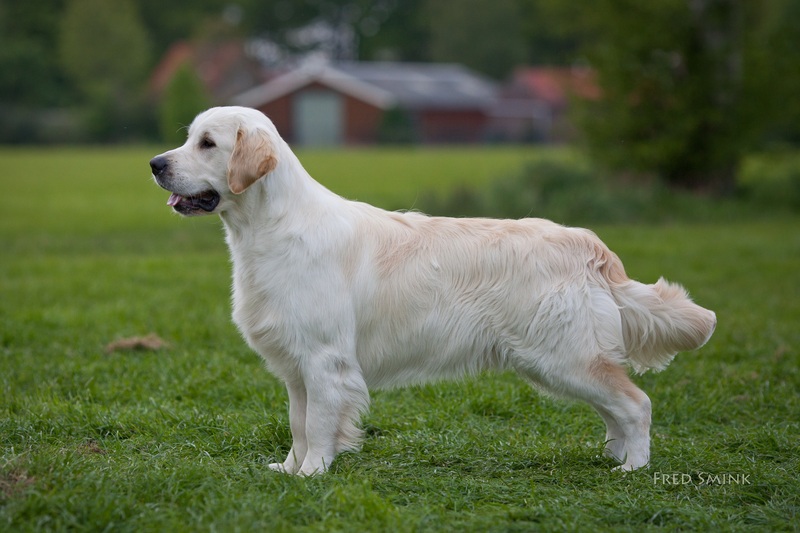 Golden puppy's are born the 8th of June 2013.